In the past year, the Vistex Foundation began looking for opportunities to help those in need in Central America. 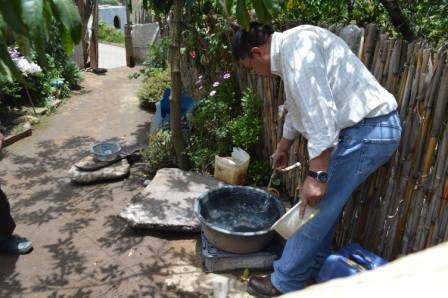 Seeking an opportunity to provide drinking water for a community, we established a partnership with ALDEA (formerly the Behrhorst Partners for Development), and developed a plan to build a water well in rural Guatemala. Battling with the forces of nature, construction of the Xepatan Water System star ted in June 2015. The system will bring potable water to 250 families; access to water in their homes will tremendously impact the lives of people currently suffering from the effects of chronic malnutrition. In just over 30 days, villagers completed an immense project, and take the next step in fighting chronic malnutrition. ALDEA continues its work in Xepatan and several other neighboring communities, developing holistic projects to address the many needs of these isolated areas. We look forward to hearing about their continued work in Guatemala.